Festivals are a worthwhile experience. While there may be plenty of festivals in your country, if you’re going abroad, you’ll find that festivals abroad can be an unforgettable experience. Whenever I travel, I try to arrange my schedule so that my visit falls around the same time as a festival or occasion in the area. This year, I plan on attending three festivals around the globe. This isn’t my first time, though, so if this is your first time travelling to experience these festivals, here’s what you need to know. Arguably the biggest, most colorful, and eye-catching festival in the world, Carnival in Rio De Janeiro is so popular that it attracts five million locals and half a million tourists each year. It traditionally takes place around February and March, 5 days before lent and 45 days before Easter. This 2019, it’s currently scheduled for March 1 until March 6. It’s ironic that its schedule coincides with Catholic practices, considering that it’s a religious celebration when the color and costumes are a stark contrast to these Catholic holidays. Consider Carnival something of a last hurrah for Brazilian Catholics. In Catholic tradition, during the time between Lent and Easter, Catholics have to fast or at least give up things they love such as good food, loud music, and entertainment. 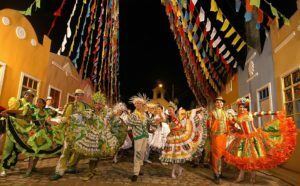 So what better way to say goodbye to the summer months and take one last swig of joy and merriment before the fasting season than with a huge festival known for its lively Brazilian music, colorful contests, and half-naked dancers? The term “Carnival” (sometimes spelled Carneval) even refers more to the Lent season than the travelling carnival most of us associate the word with. The word is short for “carnelevare,” meaning the removal of meat. Most Catholics choose to fast from meat throughout the Lenten season or on certain days. Carnival is most known for its creative costumes, and its festivities all lead to a culmination with the much-awaited Sambadrome. Throughout the festival, nearly a hundred samba schools representing the neighborhoods of Rio De Janeiro compete in costume-making competitions. And if you’ve seen a Carnival costume, you’ll know that the themes are always interesting, the standards are high, and it’s a tough competition. During the Sambadrome, only 12 schools remain and over 90,000 people come to watch them compete for both a cash prize and national recognition. During Carnival, expect plenty of festivities and groups showing off their costumes. While the celebration is tied to a Catholic celebration, the festivities are anything but chaste and solemn. If you’re easily offended by debauchery, revealing clothing, dancing, and people kissing in public, then this isn’t the festival for you. While you could start your own food fight anywhere in the world and your streets will have the same food-strewn appearance, the experience of attending La Tomatina in Valencia, Spain is one worth the trip. Usually held for one day on the last Wednesday of August, you’ve got plenty of time to schedule a flight to Spain as it’s scheduled for August 28, 2019. Launched in 1945, La Tomatina (literally “the tomato”) locals claim that the festival started all because of a completely different local festival, the Giants and Big-Heads figures parade. A group of boys accidentally knocked off a performer on stilts parading as a giant. Angered, the performer picked up the tomatoes on a nearby vegetable vendor’s stand and started a food fight until the police arrived. It basically sounds like your public food fight, but it’s much more than that. The local government tried to ban the festival in the 1950s, but La Tomatina had become such a huge part of that region’s festival that locals protested for almost a decade until the ban was lifted. I mean, sure, you can have a food fight in your own college cafeteria or your office’s break room. But experiencing the culture of Spain while joining both locals and tourists as they take part in an annual tradition leaves a promise to enjoy your experience. La Tomatina is also just one of the festivals you can expect in a whole week of festivities in the town of Buñol, so you also have other experiences to try out. La Tomatina has survived as a festival all these years because locals and tourists adhere to the rules. While it’s a free-for-all food fight, there are rules enforcing common courtesy and safety for all. For example, while some people have thrown other vegetables into the mix for fun, you’re not supposed to throw hard vegetables or anything that would hurt a person upon impact. A tomato is the ideal fruit of choice, just be sure to squish it before throwing to soften its impact when thrown. Other rules include not tearing or throwing t-shirts, keeping a safe distance from the tomato trucks, obeying the pistol shot that signals the end of La Tomatina, and following the directions of local authorities and other staff assigned to keep the peace. La Tomatina only lasts for two hours a day, and there’s a start and stop signal from security. While it’s a short festival to travel for, the rest of the town’s week-long festivities are also worth attending if you want to experience Spanish culture whilst celebrating. To mitigate the growing interest of La Tomatina, security now issues tickets for all event attendees. 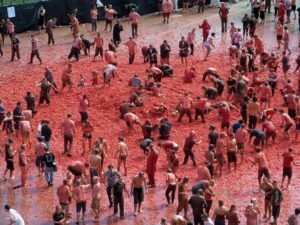 You will need to book a ticket for the event before you can enter the La Tomatina grounds. 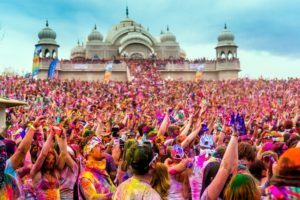 While many countries have tried their own take of a Holi Festival, none have succeeded in replicating the grandeur of “the festival of colors” found in India. Also known as the festival of love, it Holi is an ancient Hindu festival that celebrates love and the triumph of good over evil. 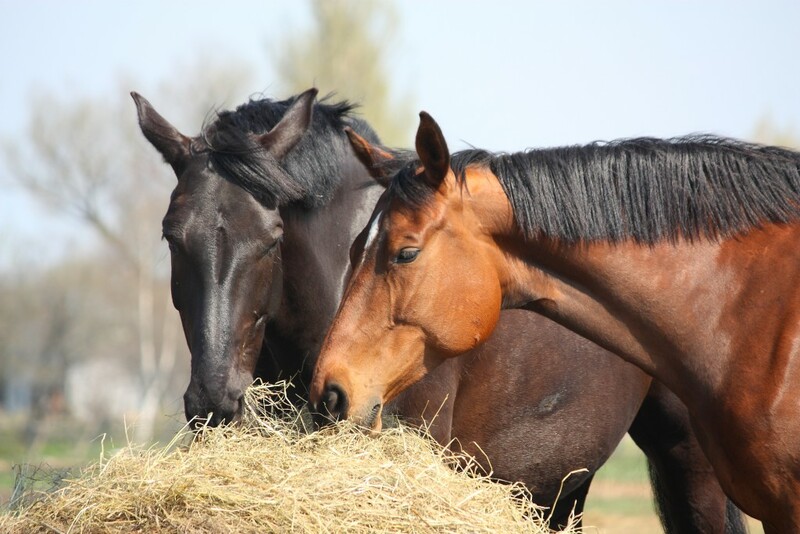 It’s set to take place on March 21, 2019, at the end of the winter season. Before the festival of colors Holi participants celebrate Holika Dahan the night before. This is a religious celebration that signifies people cleansing their mistakes and forgiving past wrongs and other transgressions, so that, come morning, people are free to celebrate love and good in Holi. After the rituals of the night before, the Holi takes place the following morning. Most people around the world recognize the colorful event, with bright-colored Holi powder filling the air and coloring the face, body, and clothes of everyone partaking. There’s also water balloons and water guns to drench people during this event. Because colored powder, water, and a lot of moving around will be involved, dress less for fashion and more for comfort. You’ll want to wear something loose-fitting that you’re okay with permanently staining. If you want your clothes to capture the full effect of the Holi colors, I recommend wearing a plain white shirt. Holi also includes bands, dancing, food, drinks, and laughter. Remember, Holi celebrates the triumph of good over evil as well as love, so this is a happy festival. Expect large crowds and maybe one or two people bumping into you during the festivities, but if you have the right mindset, it will be a truly fun and unforgettable experience. 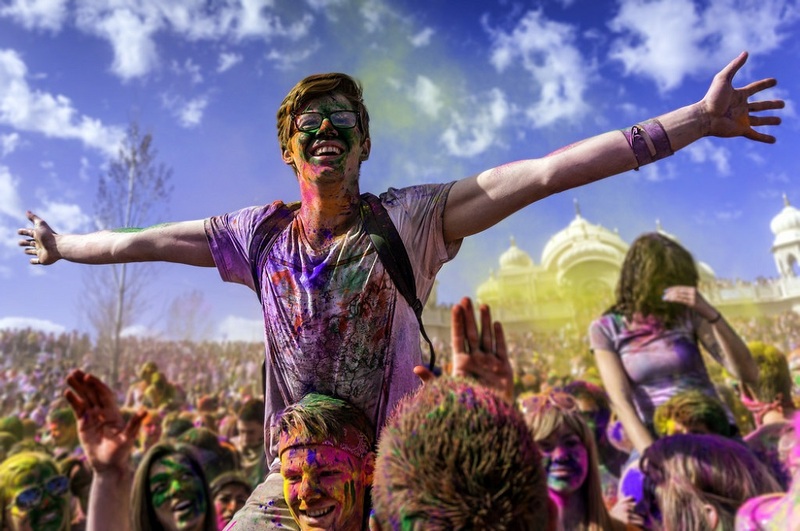 Holi is a free-for-all, meaning the color fight isn’t just limited to your group of friends. Strangers will also try to douse you with water and throw Holi powder at you. 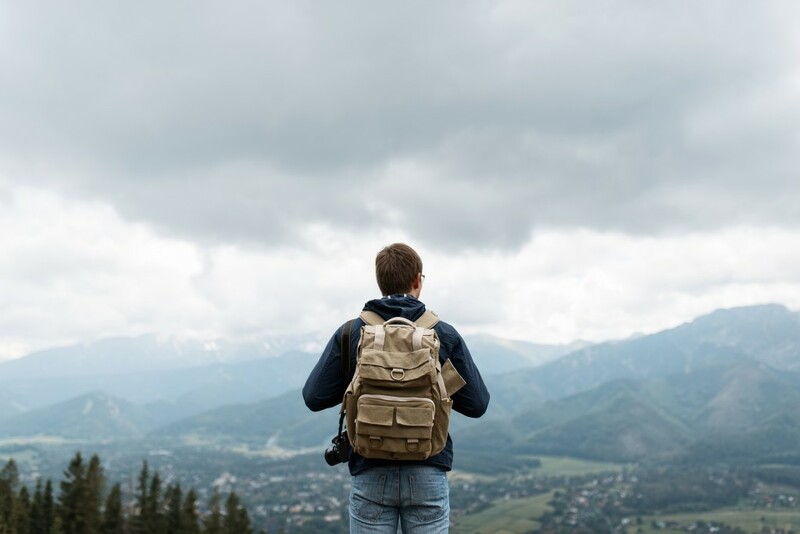 The festival also welcomes people of all backgrounds, genders, ages, and socio-economic statuses, so to truly enjoy this festival, you may need to set aside your introversion. These are just three of many festivals over the world that are worth a trip abroad. Apart from the sites and cultural experiences you can get in that country, these festivals showcase the festivities that bring both locals and tourists together to celebrate, laugh, and enjoy themselves. Have you been to a festival you’d recommend as worth the trip? Tell us about it in the comments!